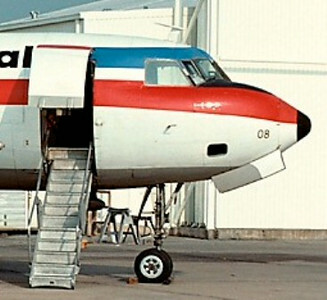 On the evening of September 27, 1973, Texas International Airlines Flight 655, a Convair 600 (N94230) was operating as a scheduled flight between Memphis and Dallas along with stops in Pine Bluff, El Dorado, and Texarkana, Arkansas. While on the ground at El Dorado, the crew spoke with pilots at the Flight Service Station (FSS) and discussed the enroute weather to Texarkana. Of particular concern was a line of severe thunderstorms that extended between El Dorado and Texarkana. The examination of the weather indicated a possible break in the thunderstorms about 35 miles west-northwest of El Dorado. Texas International Flight 655 departed El Dorado at 8:15 PM. Although cleared by dispatch for an Instrument Flight Rules (IFR) trip, upon departure the crew contacted the FSS and informed the controller that the flight was proceeding visually to Texarkana. Instead of proceeding direct, the flight turned northwest and followed various headings for the next thirty minutes. At the controls of the flight was 37 year old William “Fred” Tumlinson acting as First Officer. Captain Ralph Crosman, age 41, was issuing heading and altitude directions as the flight progressed. In the back of the cabin tending to the eight passengers was 23 year old Flight Attendant Marilla Lotzer. Handling both the aircraft and navigation charts, Tumlinson was now showing concern and began to question Crosman regarding the airplane's track and location. Tumlinson asking, "You got any idea where we're at?" "Yeah, two-sixteen’ll take us right to the VOR", replied Crosman and adding, "I'm not concerned with that, I could care less". Twenty-seven minutes into the flight, Crosman ordered Tumlinson to make a turn to 290 degrees and a descent to 2,000 feet. Tumlinson said, "Man, I wish I knew where we were so we'd have some idea of the general terrain around this place". Crosman responded "I know what it is....That the highest point out here is about twelve hundred feet. The whole general area, and then we're not even where that is, I don't believe". Thirty seconds later, the plane began to receive the signal from the Page VOR (located in Oklahoma). "About a hundred and eighty degrees to Texarkana", said Crosman. "About a hundred and fifty-two", replied Tumlinson, consulting his charts. "Minimum enroute altitude here is forty-four hund....". 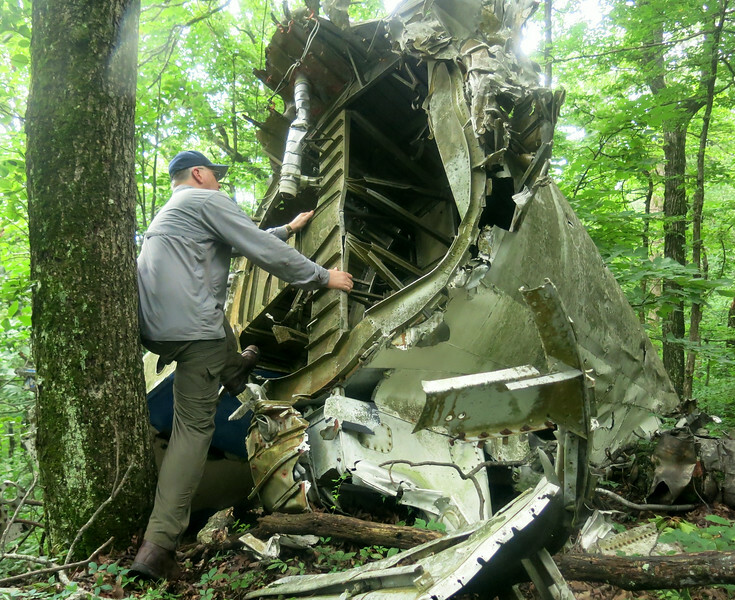 At that moment Tumlinson’s statement was interrupted when the Convair collided with Black Fork Mountain, nearly one hundred miles north of Texarkana. In total darkness and most likely in the clouds, the aircraft struck the mountain at 188 knots (207 miles per hour) disintegrating on impact. Of the eight passengers and three crewmembers, no one survived. The wing fuel tanks ruptured and most of the fuel vaporized leaving a small postcrash fire in the center wing section that burned itself out after a few hours. The violence of the impact was followed by silence as the aircraft, based on the rules at the time was not required to have an Emergency Locator Transmitter to transmit a distress signal. Hours passed and no one knew what happened to Flight 655. A search was initiated as soon as the aircraft was declared overdue. This search would ultimately involve personnel and aircraft of Texas International, the Army National Guard, and the Civil Air Patrol. In spite of these efforts, Flight 655 would not be found until three days after the crash. The search turned tragic on the first day, when a Arkansas National Guard UH-1D Huey from Camp Robinson crashed near Prescott, AR while enroute to the search area. The three crewmembers were killed. 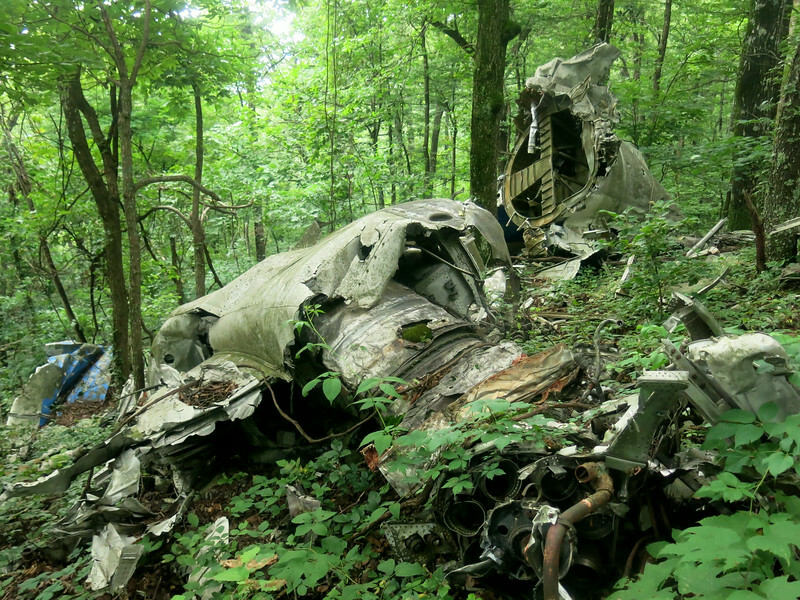 The crash site of Texas International Flight 655 lies on the north slope of Black Fork Mountain near the western border of Arkansas and Oklahoma. 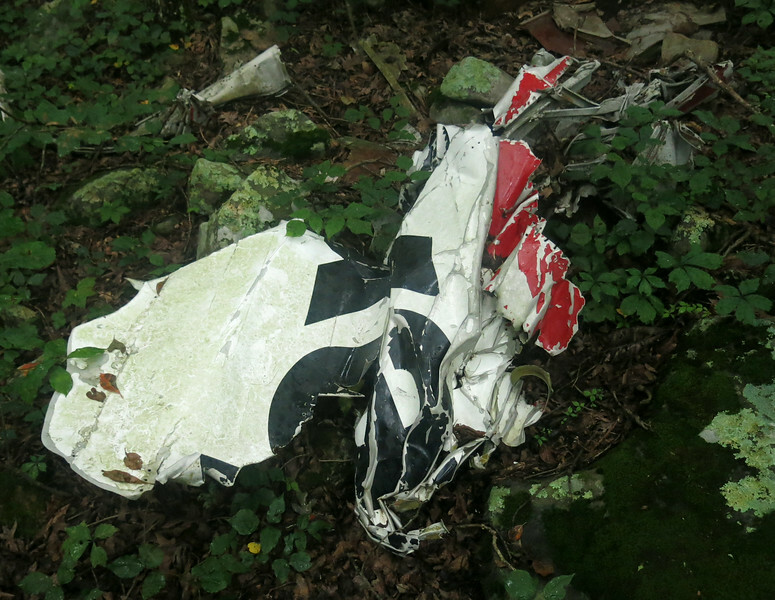 The crash site is within the boundaries of the Black Fork Wilderness Area of the Ouachita National Forest. During my visit to the site, I accompanied Jeff and Jennifer Wilkinson. The Wilkinson’s have spent several years researching the historical aspects of the accident and locating people involved during the aftermath. The weather was overcast, but for an August visit temperatures were warm and humid as expected this time of the year in this part of the country. 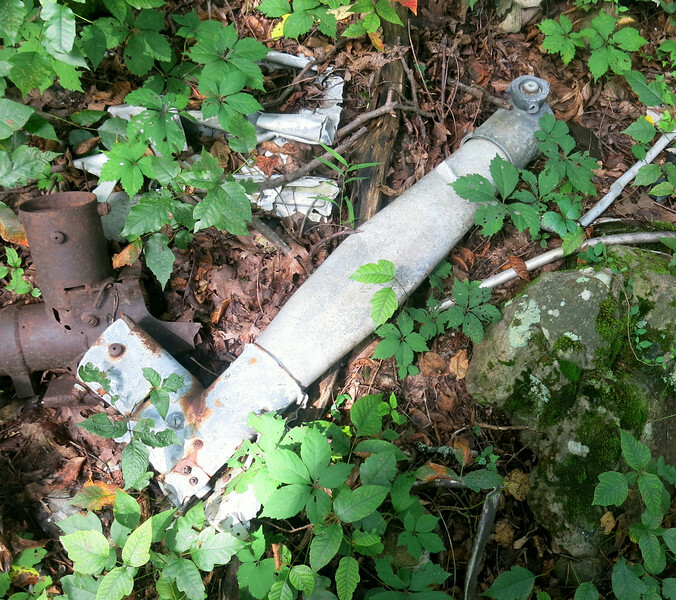 I was surprised at the amount of aircraft wreckage still present at the site. 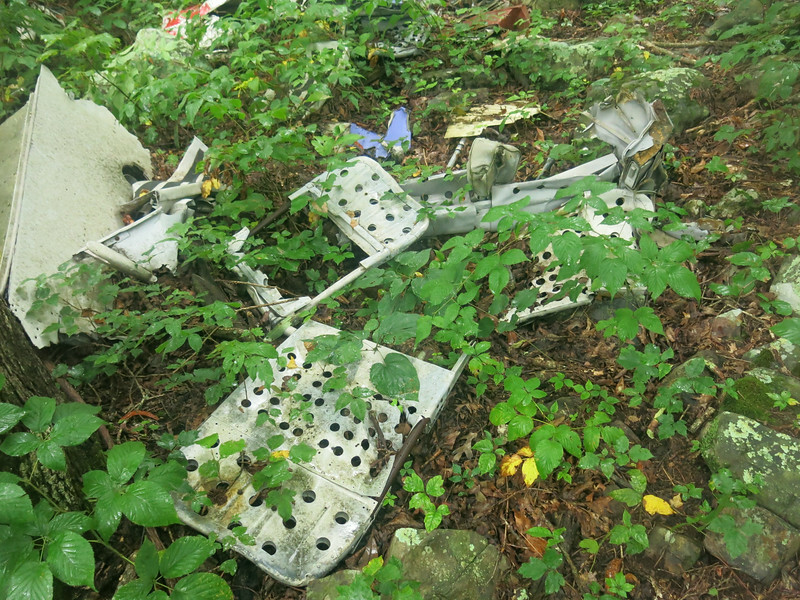 The excessive amount of vegetation, much of it Poison Ivy covered the aircraft debris field. 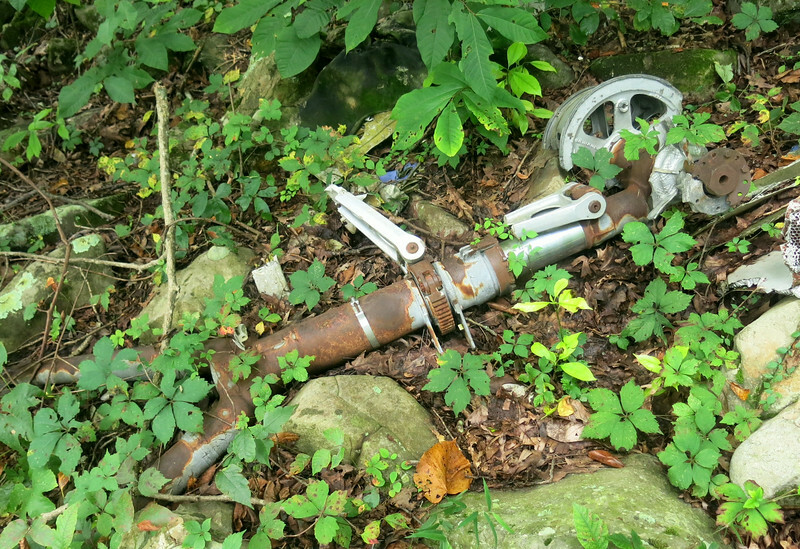 Some debris was hidden in the undergrowth, but a majority of the major components were accounted for at the site. Some components seen at the site were: portions of wing structure, tail section, portions of fuselage structure, both engines, landing gear, and both propeller assemblies. 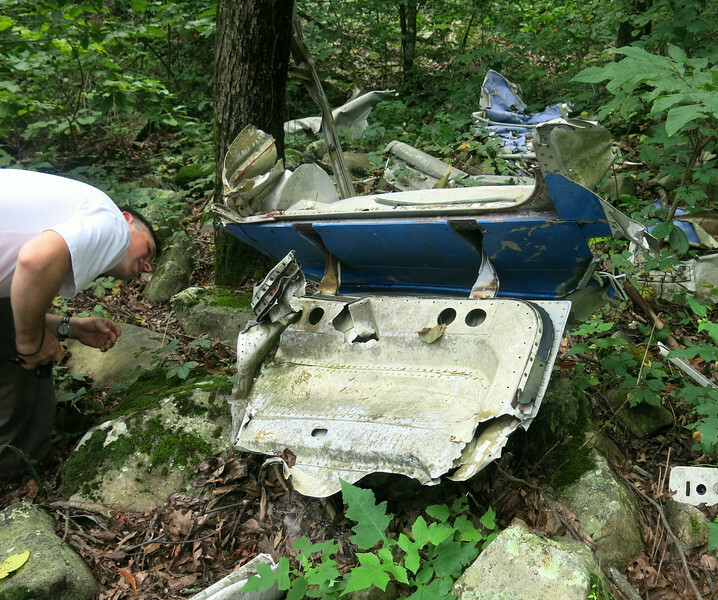 It was apparent that some portions of wreckage debris were removed from the site. 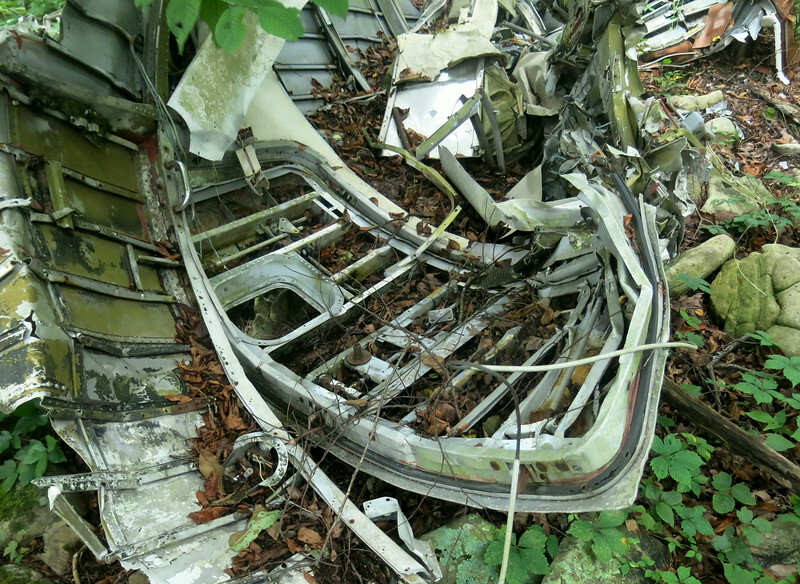 These included: portions of the cockpit, portions of the fuselage, majority of passenger seats, and a total of four propeller blades unaccounted for. 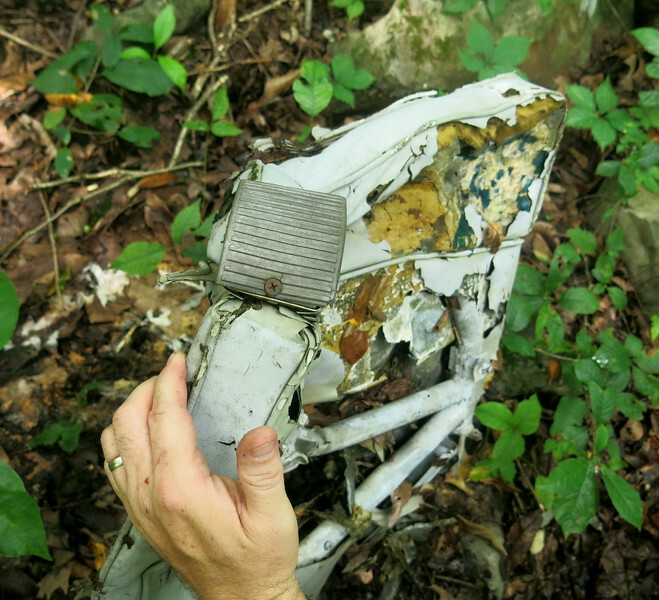 The severed tail section of the aircraft has evidence of vandalism due to gunfire. 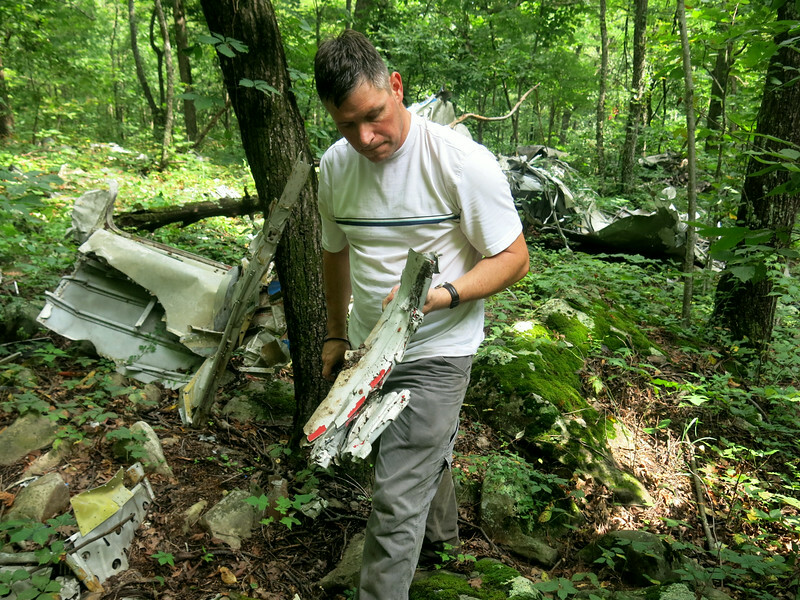 During our visit, small amounts of wreckage debris was noted along the flight path of the aircraft as it struck the trees prior to impact with the mountain. 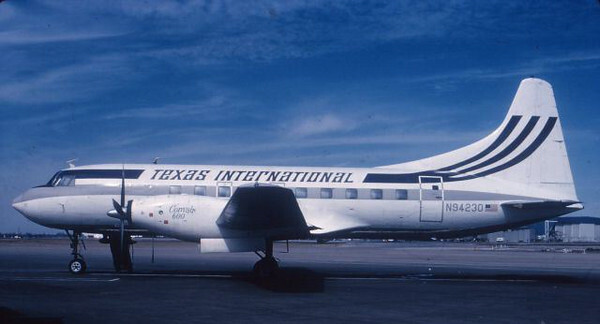 Texas International Airlines Inc. known as Trans Texas Airways until 1969 then as Texas International Airlines. Originally manufactured in 1948 by Convair as a Model 240, N94230 (S/N: 56) was delivered to American Airlines on April 23, 1948. It was operated by American until 1961. 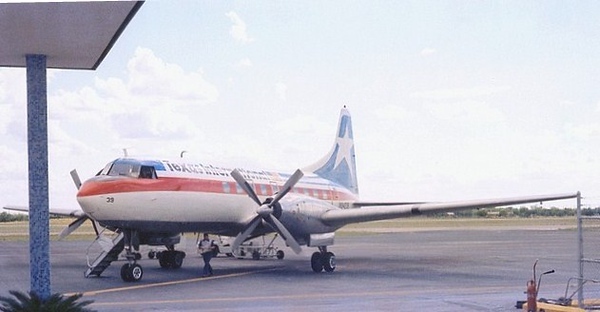 During 1968, and now operating under Texas International Airlines, the aircraft was converted to a Model 600. The conversion consisted of replacing the original Pratt and Whitney R-2800 radial engines and three-blade propellers with Rolls-Royce Dart Turboprop engines and four-blade Dowty Rotol propellers. 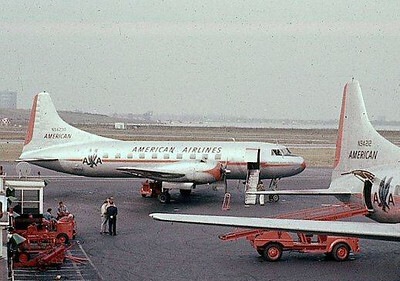 The Model 600 conversions were performed by Convair Aircraft. By the early 1970s, N94230 was operating the line as a Convair 600 and sporting a freshly painted red, white and blue livery. It's route structure took the aircraft through most of the southern region of the United States. Texas International Flight 655 was delayed on the ground as the crew waited for a line of thunderstorms to disapate for it's continuation to Texakana, Arkansas. Pressured by the schedule and hoping to find a break in the storm enroute, the crew boarded their 8 passengers and departed at night under VFR conditions. The flight departed El Dorado at 8:15 PM. Using their weather radar as guidance, the pilots were unsuccesful in locating a break in the line of thunderstorms to Texarkana and proceeded in a northwesterly direction. Based on the flight and voice recorder transcripts, the pilots had a general idea where they were going, but had no idea of the terrain around them. Unbeknownst to the pilots, Flight 655 was dangerously below the minimum enroute safe altitude of 4,400 feet. First Officer Tumlinson still at the controls, was directed by Captain Crosman to turn a westerly heading and decend to 2,000 feet. 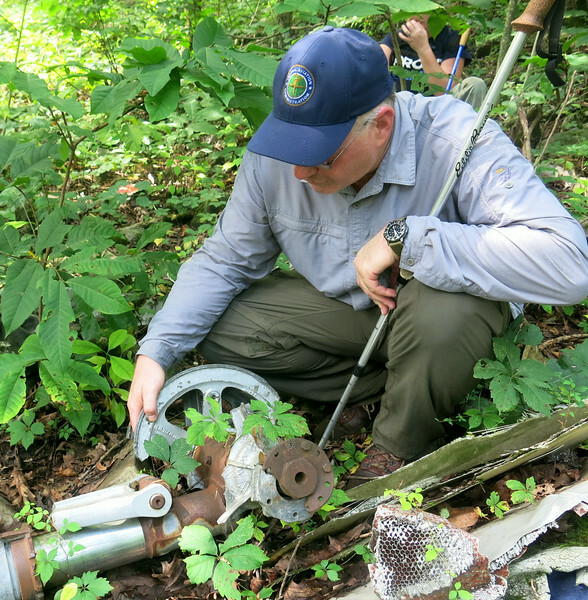 The aircraft continued on this path in what was believed to be instrument conditions until it struck the northern slope of Black Fork Mountain in cruise flight. There were no witnesses to the accident and no survivors. At 10:25 PM, a search for the missing airliner was initiated by the Arkansas Civil Air Patrol and the U.S. Army's 43rd Aerospace Rescue and Recovery Squadron. 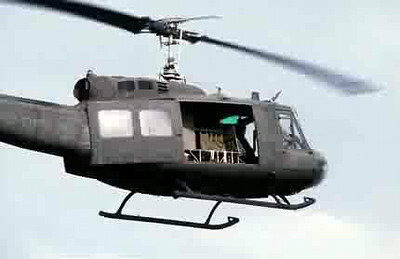 Enroute to the search area an Arkansas Army National Guard Bell UH-1D helicopter crashed, killing the three crewmembers. After a massive search operation, Texas International Flight 655 was eventually found three days later on September 30th. 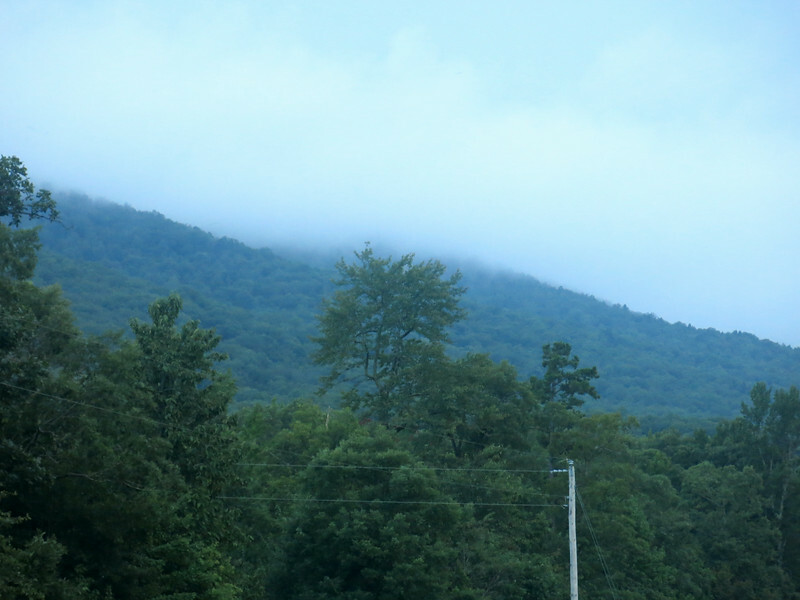 During the early morning visit to the crash site, an ominous cover of clouds hung over the summit of Black Fork Mountain. 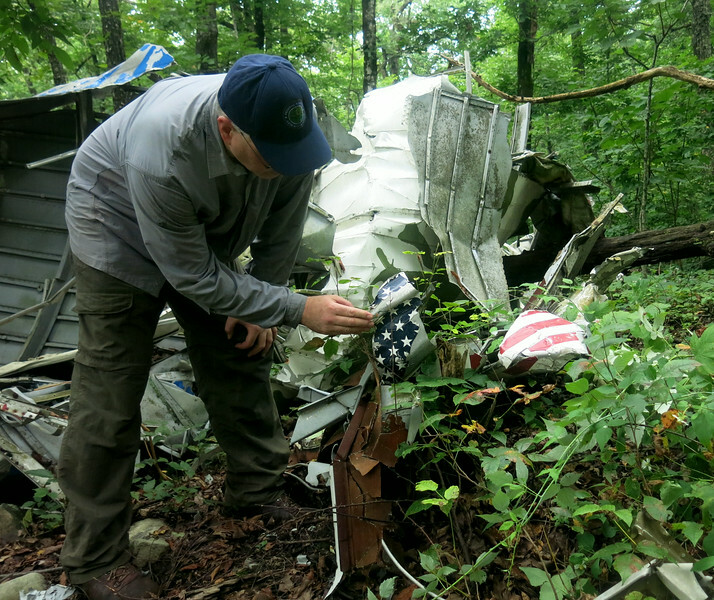 The crash site lies within the confines of the Black Fork Mountain Wilderness Area of the Ouachita National Forest of western Arkansas. 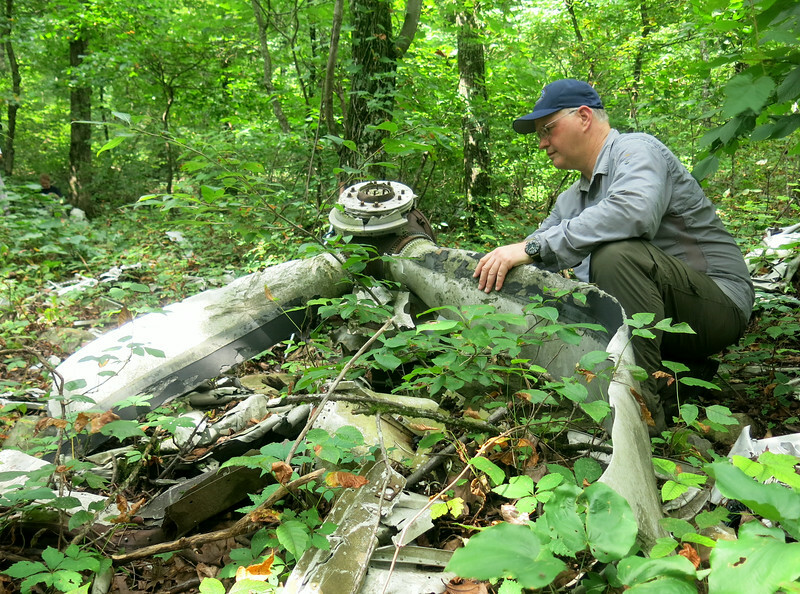 For this hike, I joined up with fellow aviation wreck enthusiasts and historians Jeff and Jennifer Wilkinson. 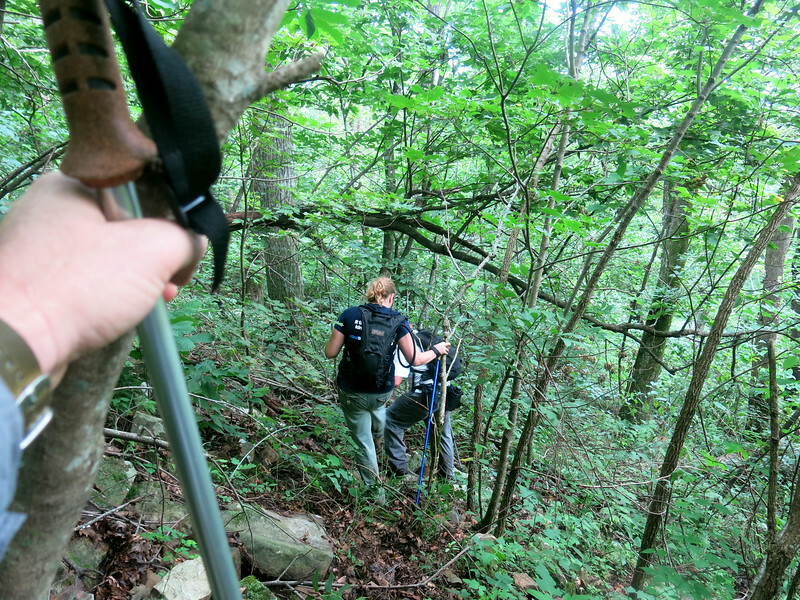 The temperature on the day of our hike was warm with humidity levels well above ninety percent. Overhanging limbs, vines, thorny briars and other plants reminded me that I was far from the deserts of Arizona and Nevada. 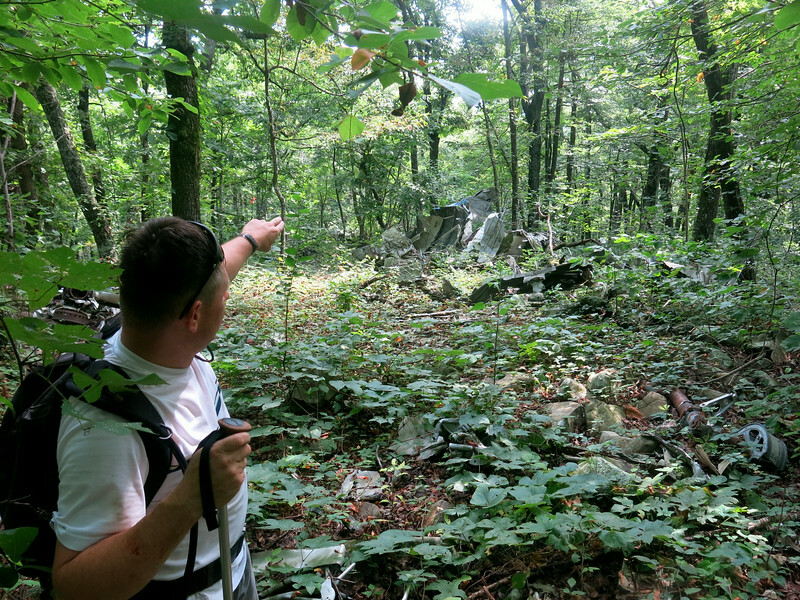 Jeff Wilkinson points to the main concentration of wreckage debris from Flight 655. 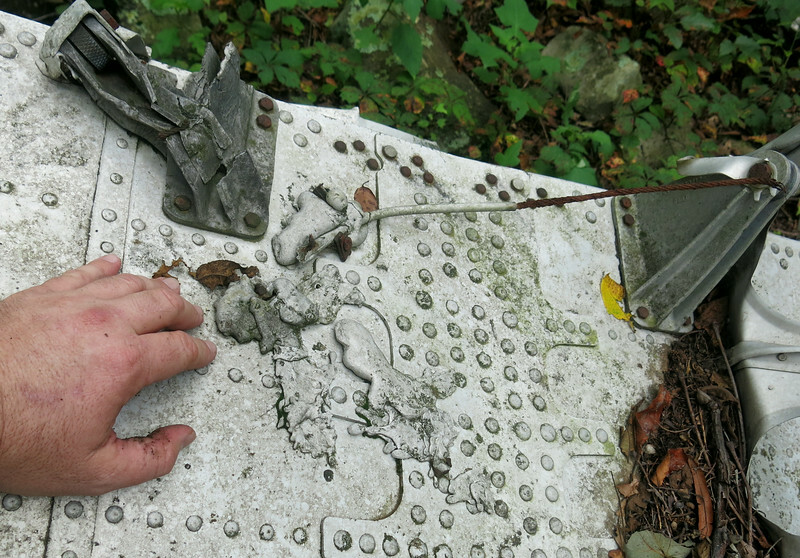 A hike along the flight path of the ill-fated Convair revealed small shredded fragments of debris left by the aircraft as it broke apart through the trees at over 200 mph. The Convair's nosewheel strut and portions of the dual wheel assembly. The nosewheel oleo strut still shines like new after decades on the mountain. First Officer Tumlinson at the controls of Flight 655 was the last person to manipulate this control collum as the aircraft struck the mountain. A grim reminder to this tragedy. 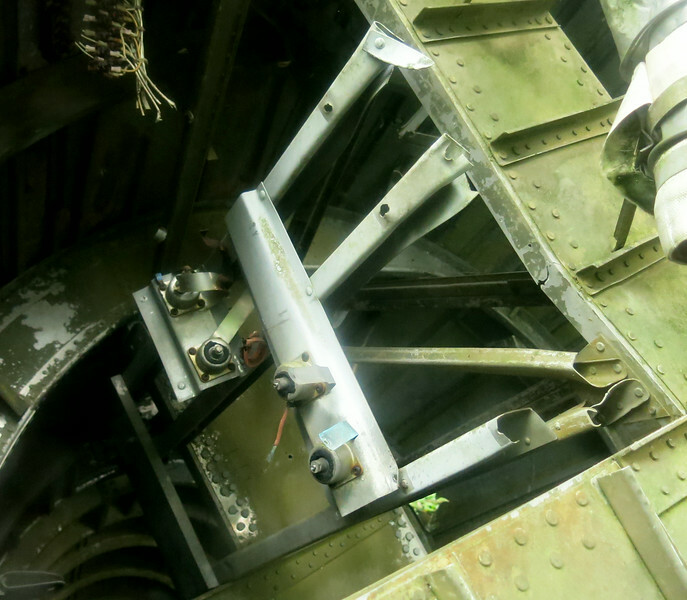 All three support points of the control wheel were sheared as the aircraft tore through the forested mountain slope. This small window was situated in the nose gear wheel-well. The window was used by the pilots to ensure the landing gear was "down and locked" in the event there was an unsafe landing gear warning indication in the cockpit. Looking over the four-blade propeller assembly from the aircraft's right side (#2) engine. The propellers on the Convair 600 were manufactured by Dowty Rotol Ltd. of Gloucester England. 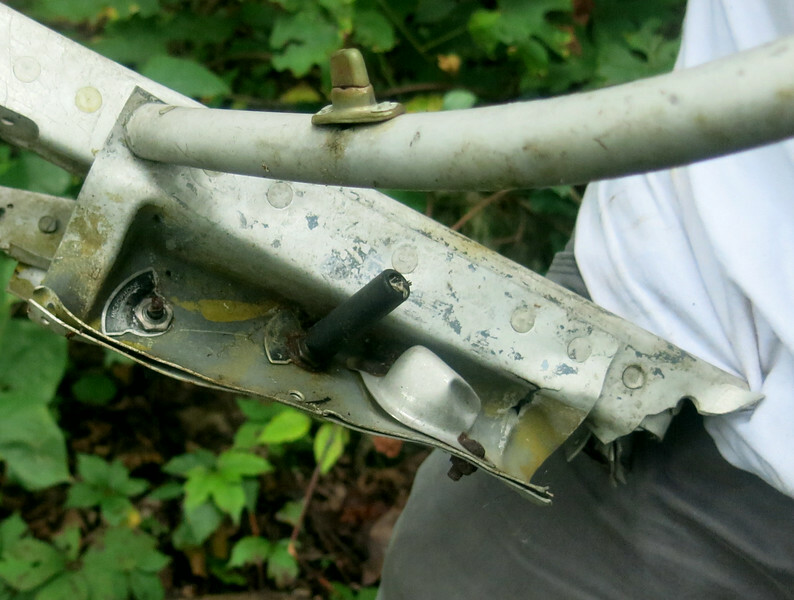 Two of the propeller's four blades were not attached to the hub and possibly separated during the accident. 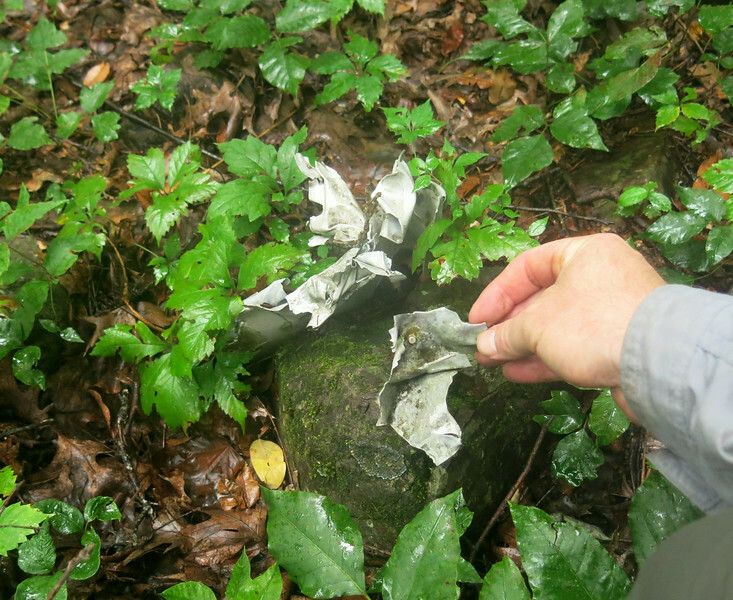 Evidence of leading edge gouging and torsional bending of the blades provide testimony that this propeller was developing power when it struck the trees. 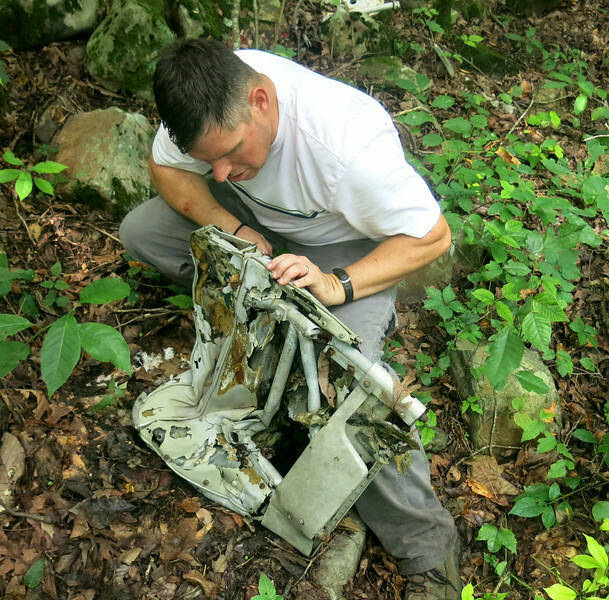 Jeff Wilkinson examines the seatback of what is believed to be a pilot crew seat. An armrest from a passenger seat still retains portions of gray colored vinyl material. A small pile of passenger seatbacks and seatpans. 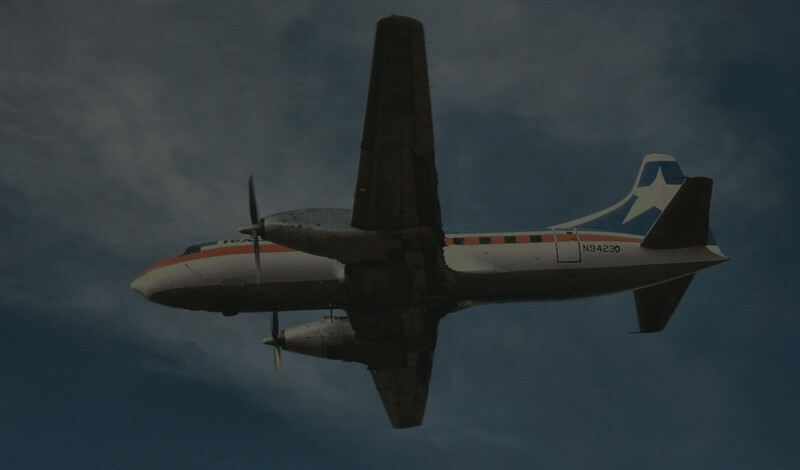 Although many were found, it was apparent many more were missing from the crash site (the aircraft had a seating capacity of up to 44 passengers). The missing seats were possibly recovered by accident investigators to study the structural integrity of the seats in the accident. A seat armrest or a headrest? Not sure, but it's heavily damaged and weathered. 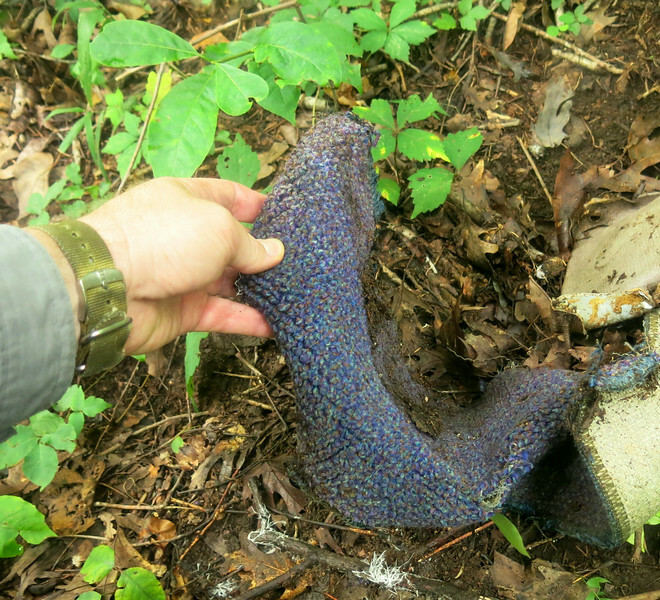 I was surprised to find a portion of the cabin interior floor carpeting at the site. The purple colored carpet held up quite well considering the damp conditions on the mountain. 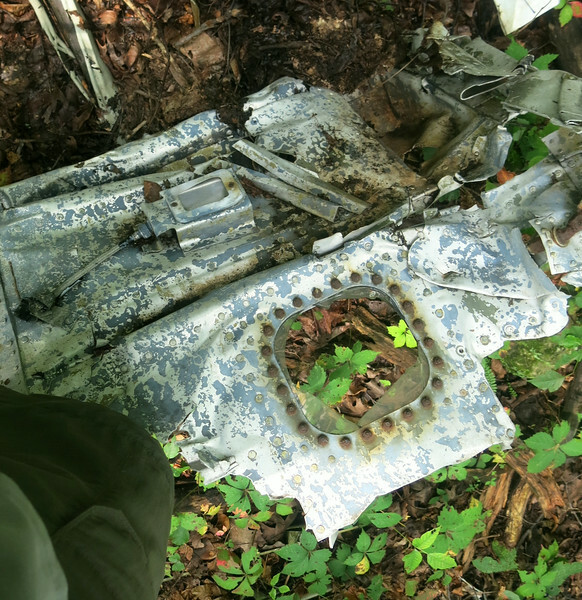 Jeff holds up a crushed fragment of aircraft structure. 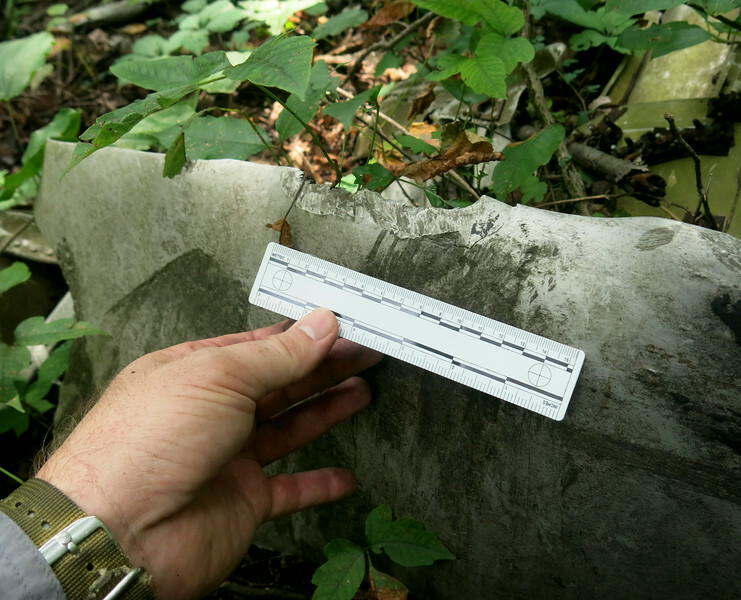 Many fragments at the site exhibited "accordian" type impact bends from striking numerous trees during the structural break-up of the aircraft. An airline inventory placard located on the bottom of a passenger seat reads "TTAC492". The "TTAC" lettering designating the Trans-Texas Airways Corporation. Jeff Wilkinson examining the upper hinged half of the aircraft's main entrance door. The door is still attached to a portion of forward fuselage. This door was originally located on the right side of the aircraft and used for the boarding of passengers and crew. Looking at this particular fragment, I couldn't help but to think back to when this door was closed for the last time on it's final flight. Upon closer inspection of the fuselage and door fragment, we noticed a trace of dark purple paint overspray from the airline's previous livery. 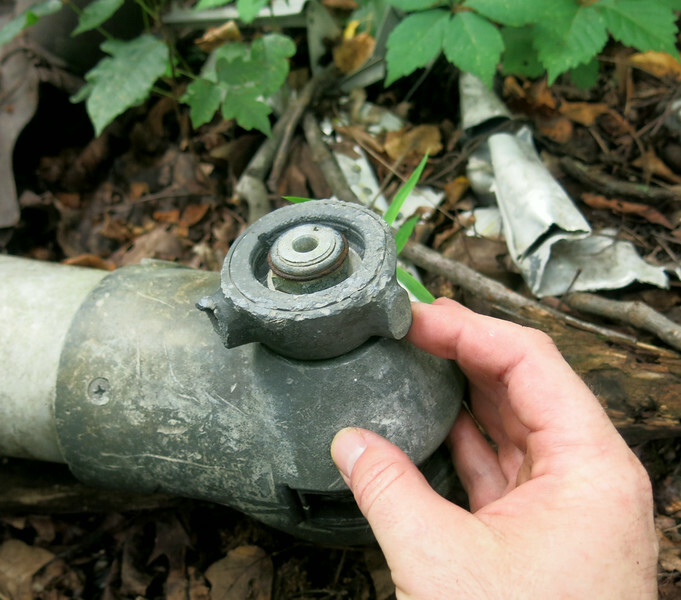 Small details like this can be historically interesting to find at a crash site. A portion of the aircraft's main boading stairs still retain the non-slip strips on each step. These inter-connected steps would fold down from the aircraft to the ramp tarmac when the main boarding door was opened. Another section of boarding stairs amid the wreckage. This photo captures a view of the main passenger boarding door and fold down stairs on a Texas International Convair 600. 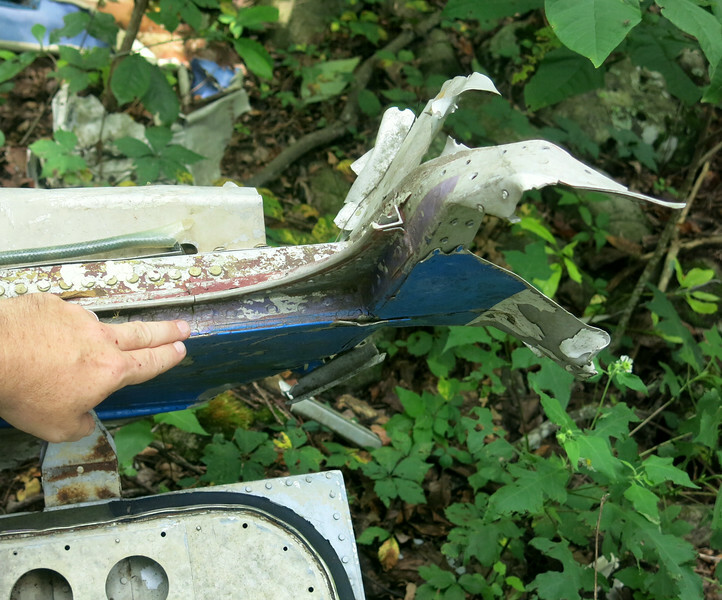 The presence of melted aluminum on the aircraft's center wing structure accounts for the postcrash fire after impact. The fire, although intense to melt aluminum, was confined to the crash site and extinguished shortly after impact. Examining the American flag decal attached to the left side of the aircraft fuselage. 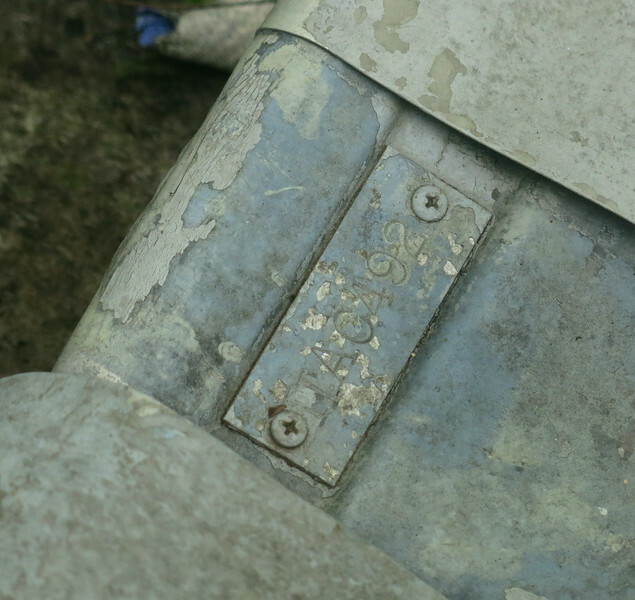 Details like this helped orient ourselves with the aircraft as we examined the torn and twisted wreckage. 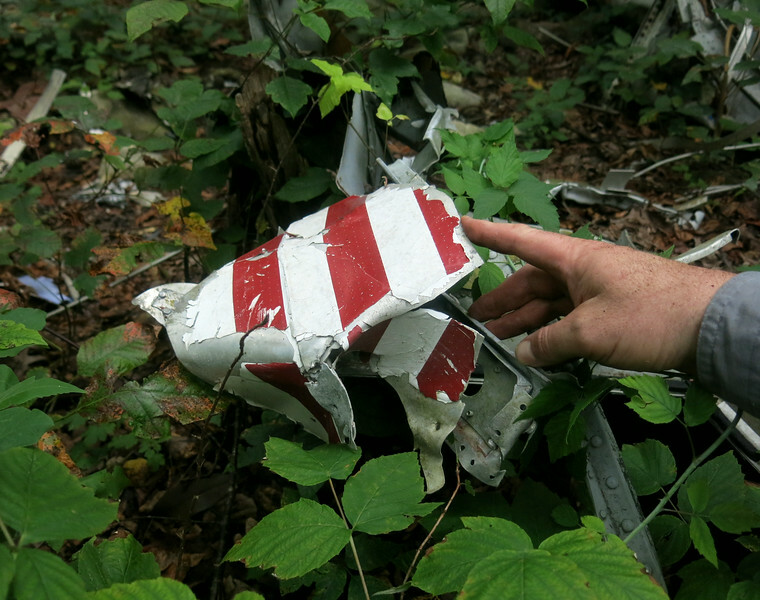 Another fragment displaying red and white stripes of the flag decal. 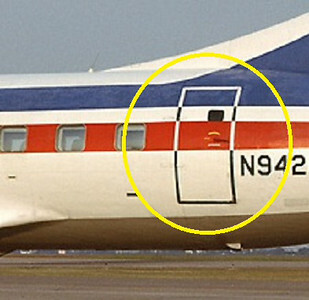 This photograph depicts the flag decal's location on a Texas International Convair 600. The interior side of the left-aft cabin door with a portion of the aircraft fuselage attached. left-aft cabin door on a Texas International Convair 600 Airliner. An aircraft galley container that was crushed during the accident. A fuel data/weight and balance reference card from the aircraft cockpit. 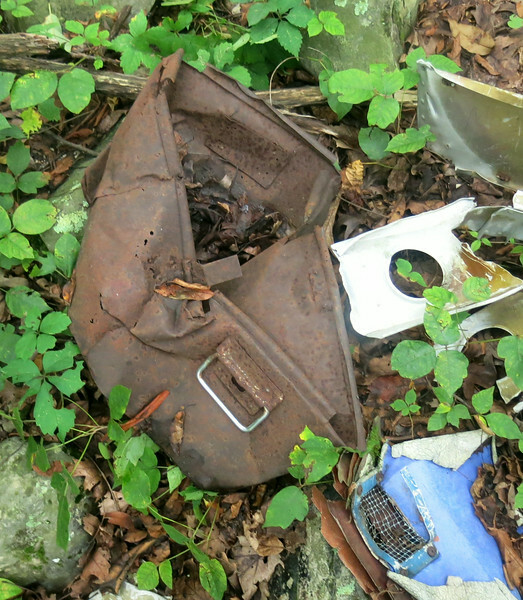 The accident site contained very few remaining items from the cockpit. 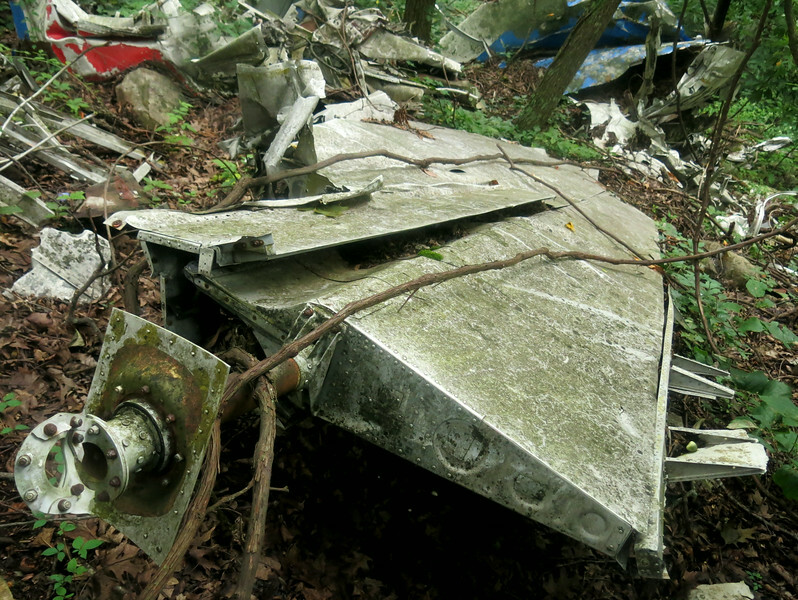 It is believed that most of aircraft cockpit was retained by accident investigators for further study during the investigation. 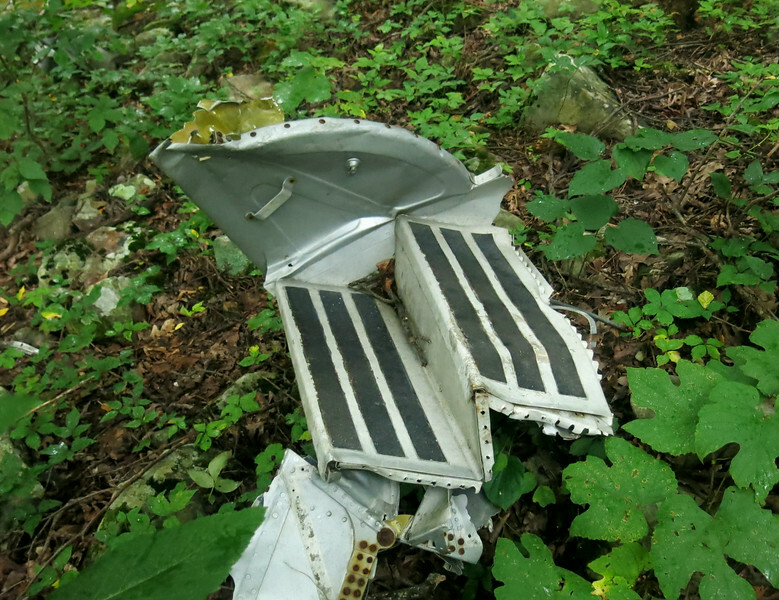 Another cockpit related item located at the crash site was this panel that contained plugs and connectors for pilot headphone and microphone. (note: the headphone connector still plugged in). An aircraft main landing gear leg amid part of the wing and tail section. A portion of the right wing and nacelle with the fragmented (#2) engine in the foreground. 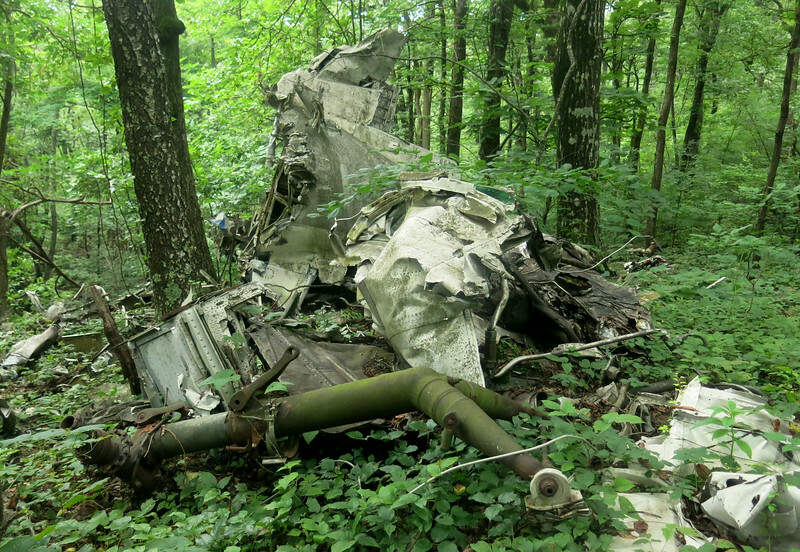 Due to the extensive damage to the right side engine, it was suggested that this particular engine and wing may have directly impacted a large tree. 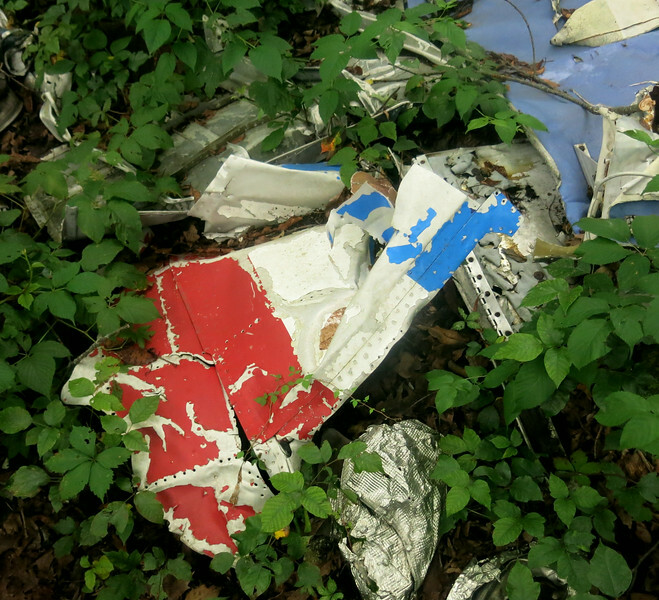 A fuselage fragment showing the airline's distinctive red white and blue painted livery of Texas International Airlines. An examination of the Convair's aft fuselage and tail section. It was here that brought accident investigators in 1973 to locate the Flight Data Recorder (FDR) and Cockpit Voice Recorder. Each recorder is referred to many as simply a "Black Box". 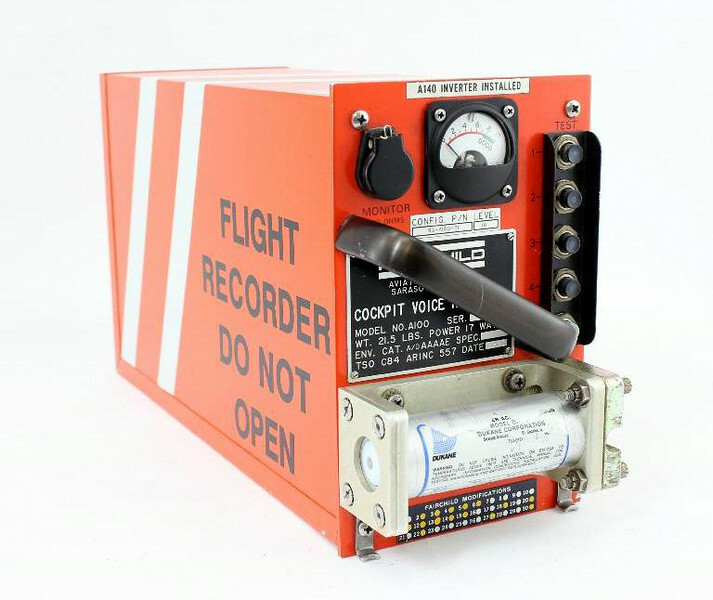 However, most aircraft data recorders are painted bright orange to enhance identity for recovery purposes in an accident. Flight 655 utilized a Fairchild A-100 Cockpit Voice Recorder (CVR), S/N: 1334. The recorder was recovered in good condition considering the impact and was not exposed to fire, heat or smoke. A full 34 minute record of audio data was transcribed. The Fairchild Model A-100 CVR provides a 30+ minute endless loop recording of cockpit related communications and sounds on magnetic tape. The audio data includes pilot conversation (Captain and First Officer) and radio communications, while a Cockpit Area Microphone (CAM) records sounds within the flightdeck (ie: engine sounds, audible alerts, and movement of levers). A photograph of the flight recorder trays and anti-vibration mounts that were located in the aircraft's tail section. 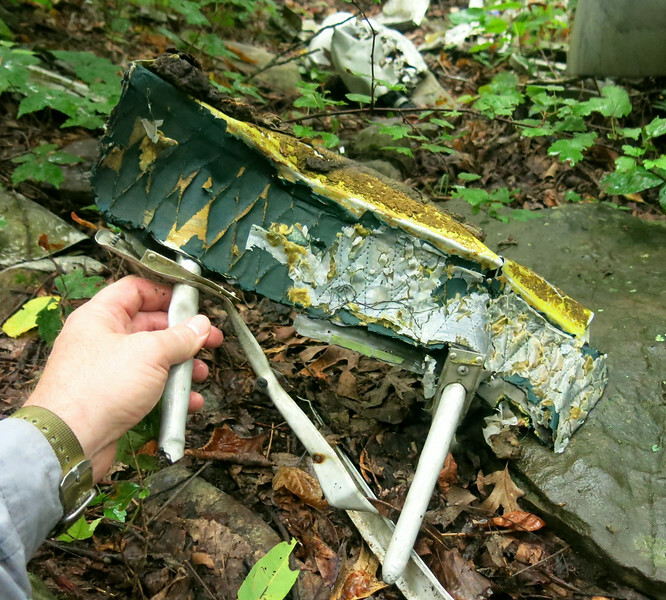 The data gathered from the recovered flight data and cockpit voice recorders contributed greatly in the accident investigation. 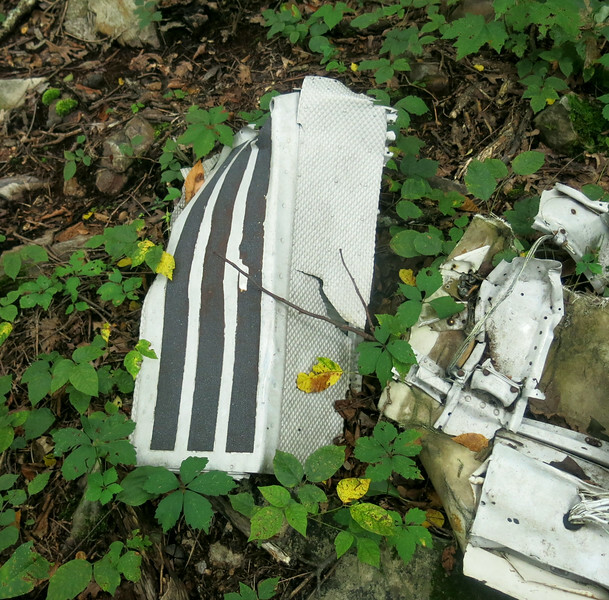 A portion of the left wing flap lies upside down amid other debris on the mountain slope. 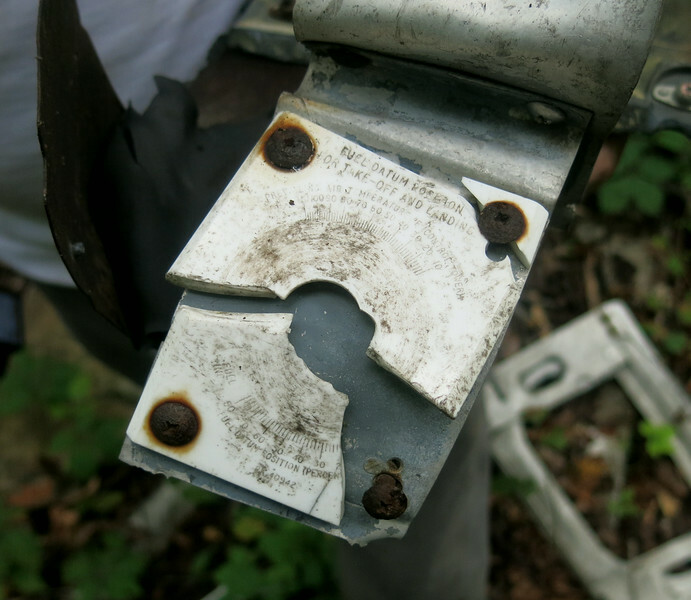 During our visit to the crash site, we located a few fragments of fuselage that had the airline's name painted on the side. This fragment had a couple letters from the name "Texas".